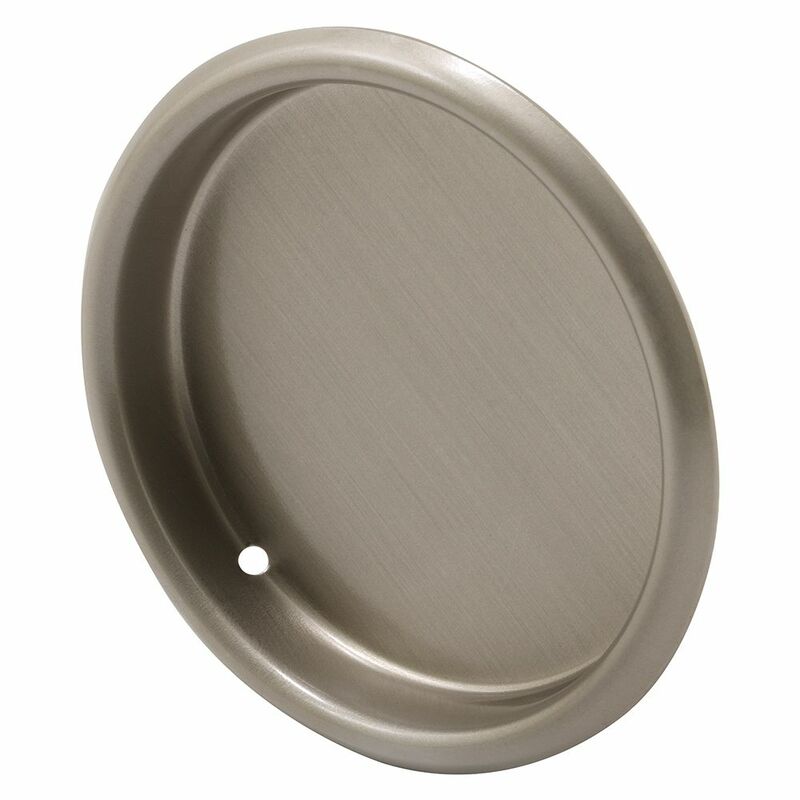 This pull is constructed from solid brass and comes in a nice satin nickel finish. It fits into most mortise style installations. The nails easily sets inside of the cup and remains unseen. The Amerock BP29349G10 Candler 3in(76mm) CTC Pull is finished in Satin Nickel. The Candler collection is distinctively elegant, with strong lines and soft curves that blend a touch of femininity with enduring class and timeless character. The classic Satin Nickel finish provides a sleek, lightly brushed, warm grey metallic look. The Amerock BP29363G10 Candler 5-1/16in(128mm) CTC Pull is finished in Satin Nickel. The Candler collection is distinctively elegant, with strong lines and soft curves that blend a touch of femininity with enduring class and timeless character. The classic Satin Nickel finish provides a sleek, lightly brushed, warm grey metallic look. 2 1/8-inch Satin Nickel Closet Finger Pull This pull is constructed from solid brass and comes in a nice satin nickel finish. It fits into most mortise style installations. The nails easily sets inside of the cup and remains unseen. 2 1/8-inch Satin Nickel Closet Finger Pull is rated 4.0 out of 5 by 1.